The LogiLink projector mount is made of an aluminum construction and holds projectors of up to 13.5 kg with a range from 54–320 mm in diameter. It can tilt and swivel up to -15°/+15° and can be rotated up to 360°. 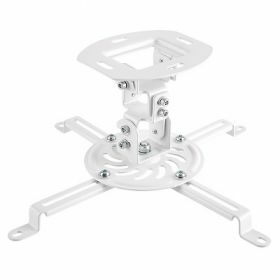 The mount is suitable for flat ceilings and is supplied with the necessary installation material for an easy installation.